As the author of The Dalai Lama’s Cat series, and a clear devotee of all things feline, people sometimes assume that I am a dog-hater. As it happens, nothing could be further from the truth. In my childhood home I was brought up with a Siamese cat, called Pandy as well as two corgis, Trudy and Tudor. In addition I enjoyed very special relationships with a white rabbit, a golden hamster, a guinea pig and several mice – though seldom concurrently. A cockatiel was perched on my shoulder through most of my teenage years – by which time Pandy’s hunting instincts had, fortunately, dimmed. 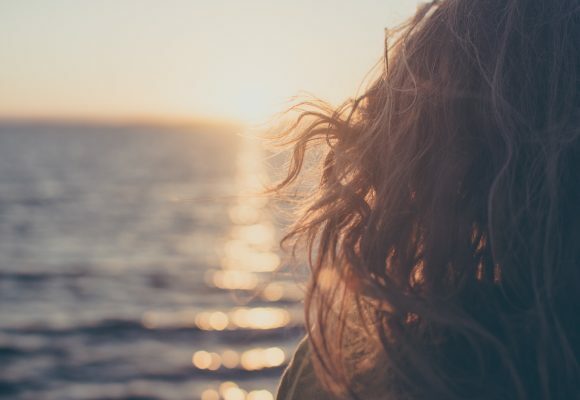 Because I grew up in Zimbabwe, school holidays frequently meant a visit to a game reserve, and during one vacation I volunteered at the Lion and Cheetah Park where my duties ran to bottle-feeding lion cubs and the showering of an orphaned baby elephant. Doctor Dolittle wasn’t so much my childhood hero, as my role model! Why would anybody not wish to talk to the animals, parlay with the pachyderms or chat to a chimp in chimpanzee? I devoured every book written by Gerald Durrell, beginning with ‘My Family and other animals’ before moving onto James Herriot. A boxed set of Gerald Durrell books, encased in shiny cardboard, became ragged along the top edge after one of my cockatiels, perhaps out of boredom, decided to tear into it. I always thought that Gerald Durrell would have shared my amusement at the contribution by my feathered friend! I fully intended to become a vet until the age of 16, when a short stint observing what went on behind the scenes at our local veterinary clinic made me realise that the clinical requirements of being a vet demanded very different skills from those I possessed. 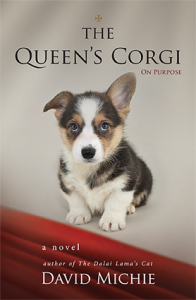 Writing The Queen’s Corgi has therefore been a joy – in some ways, a return to an early time in my life, and the very special friendships I enjoyed with our corgis. Trudy, our first corgi, was close in character to Margaret in The Queen’s Corgi. She was known to raise her lip and bare her teeth at unwanted visitors. But although she could be prickly with others, she never was with me – this photo of me sharing her basket hints at the easy innocence of our friendship. After Trudy came Tudor, the playmate of my youth. I remember long walks with him in the pine forests of Nyanga, a pristine, mountainous and very beautiful part of Zimbabwe where the air is so crisp it is said to be like breathing in champagne. Not dissimilar, as I later discovered, from the air in the Himalayas. Like Nelson in The Queen’s Corgi, my parents got Tudor from a breeder. While nothing like the dreadful Grimsleys in the book, the breeders’ clientele were mainly people who wanted to show their dogs but this wasn’t possible for Tudor because, he had a left ear which instead of standing, flopped. My own parents weren’t at all interested in the floppiness of an errant ear, and Tudor’s charming nature soon won over not only their hearts, but those of most visitors. I can still remember the Sunday morning this photograph was taken. It was in April 1981, although my hair style would suggest some years before – in our colonial world we were always at least ten years behind fashion trends. 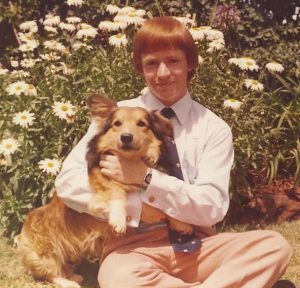 My parents and I had just returned from church – they were Scottish, and keen Presbyterians – and this photo was taken in the back garden of our home in Zimbabwe, where I returned on vacation from university. As it turned out, it was one of the last holidays I was to have at home. Within a couple of years my parents had moved back from Africa to Scotland. Tudor, by then quite an elderly dog, passed away just months before they were due to leave. Sometimes I wonder if he had an inkling of the massive disruption about to happen in our family and decided to slip away on his own terms. Such a playful, warm and deeply loyal friend. He will always have a special place in my heart. I do hope that this new book will be available as a talking book. 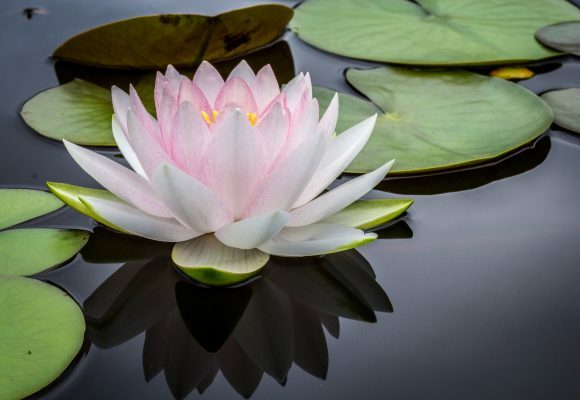 I’ve become quite addicted to listening to Rinpoche’s soothing voice. No doubt Nelson would possess a similar soothing tone. almost have finished. So deeply moving, especially in certain parts (which I won’t explain due to spoiler affect), I was weeping. My new corgi pup, RBCP, woke from his nap to see what was the matter. I can wait to read this book! I don’t know if it will be traslated in Spanish, but if it isn’t I would buy in English. 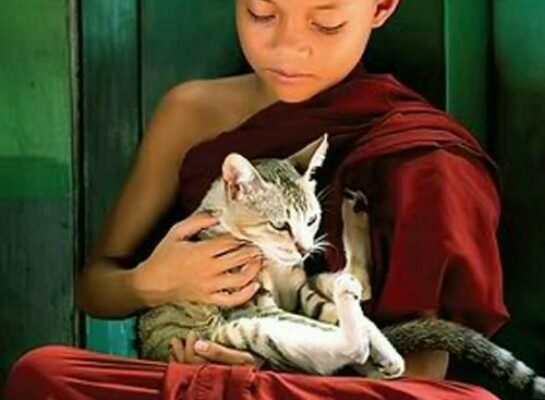 I love stories with animals, and I fell in love with Rinpoche!! 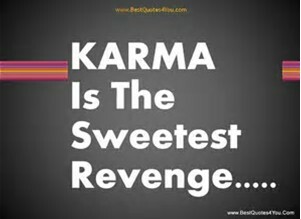 Can’t thank you enough for Rinpoche’s series and “The Magician of Llasa”!!! 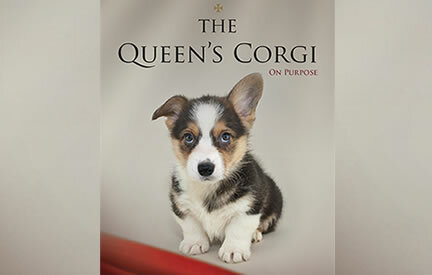 Hope to be able to get “The Queen’s Corgi” from Amazon in Brasil!!!!! It ‘s going to be a “corgi” weekend. 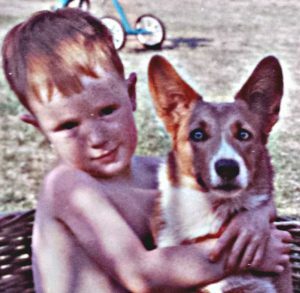 Thank you, David, for posting your sweet childhood animal rememberances. My story is similar with a chow dog, a rat and a goldfish, then of course, numerous cats. 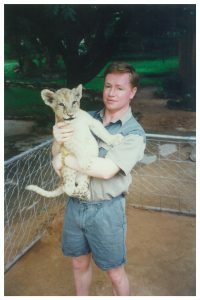 I would have loved to have held a lion…I am envious! Growing up in Africa had it’s advantages. I hope your new series has the success of HHC’s! Dear Mr. Michie, I have read all 3 of Dalai Lama’s cat series and am finishing ‘The Queen’s Corgi’. I’ve loved them all and have found comfort in the messages being conveyed. Little Nelson is such a wonderful pup. Winston is a wonderful mentor for Nelson. I would love to have a Corgi some day….after we stop traveling so much! ( One Daughter in N. Ireland and one in Portland, Oregon) Thank you again for these wonderful books. Can’t wait for the movie!